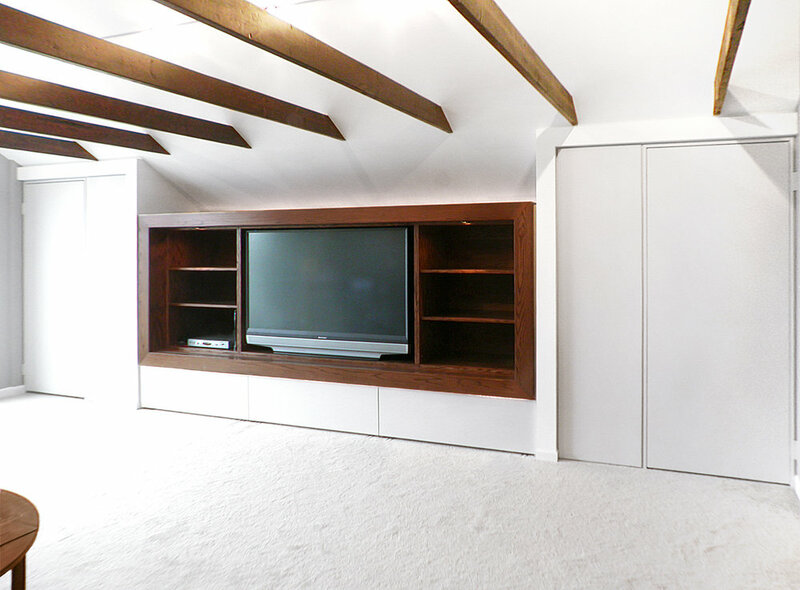 The design challenge presented to Harder Brothers in this project was to transform a lofted living room with poor lighting and a non-functional layout into an open and functional entertaining area while also adding a bedroom and additional storage. This was accomplished by opening up the vaulted ceiling and exposing the beautiful wood structure hidden behind the existing ceiling and modifying the lighting and natural light to create an open feel. The custom clerestory windows allow light to travel throughout the loft while maintaining privacy for the new bedroom. The end result is a highly refined space that feels open and airy while allowing for the additional functionality and storage required by the client.